This is the perfect block for any chef. 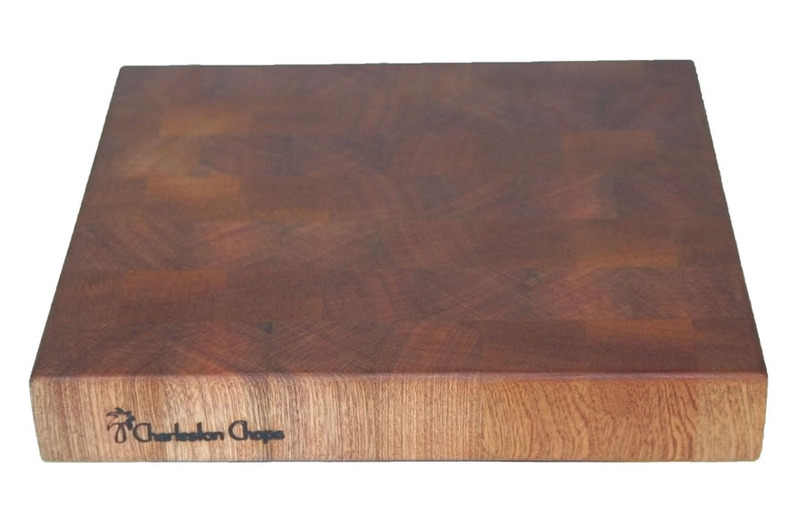 The 12 by 12 inch footprint can handle most standard chopping jobs without taking up too much of your counter space. This particular style is constructed to be as forgiving on your knives as possible. Just make sure that the Charleston Chops logo is facing you and you're good to go!